Rarity is all up in your show, and then she fails miserably again. 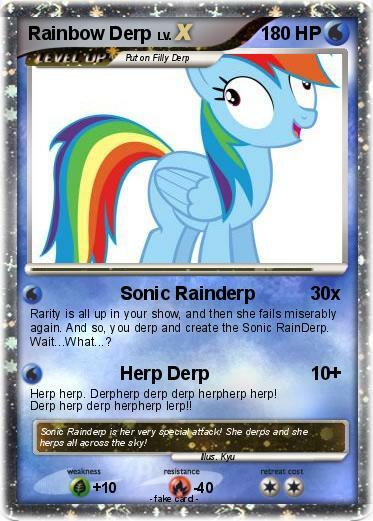 And so, you derp and create the Sonic RainDerp. Wait...What...? Herp herp. Derpherp derp derp herpherp herp! Derp herp derp herpherp lerp!! Comments : Sonic Rainderp is her very special attack! She derps and she herps all across the sky!